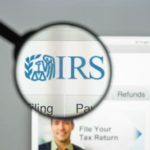 In recent years, many people have put estate and gift tax concerns out of their minds since the Obama Administration increased the estate tax credit to more than $5 million in the early 2010s. The Tax Cuts and Jobs Act of 2017 again substantially increased the estate and gift tax credit, protecting most estates in the U.S. However, many people may not realize the true net worth of their estate and that the estate tax could affect them. Others may come upon a windfall that suddenly makes estate and gift taxes a very real concern. In any event, you should still stay informed regarding the estate and gift tax credits as they change each year. This means that if someone passes away, they can pass on up to $11.4 million to their beneficiaries without the assets being subject to the federal estate tax. It also means that people can gift up to $15,000 to each of their children each year without paying gift taxes. For many people, having an estate worth $11.4 million or $22.8 million between spouses is a goal. If you are working toward that goal, know that it is important to plan ahead in anticipation of achieving the financial success you want for you and your beneficiaries. If you already have an high-worth estate, you need to ensure you put all necessary protections in place right away. Do not assume these tax credits will last forever, so be prepared for future changes. As of now, the tax law is set to expire in 2025, and we will watch carefully for any new developments before then. As a married couple, you can enjoy double the exemption as an individual. However, this is not an automatic occurrence. You must designate that you plan to use the doubled exemption when the first spouse passes away, even if they leave the estate tax-free to the surviving spouse. Then, the doubled exemption will apply to the entire estate when the second spouse passes away. This is called “portability,” and must be done correctly to prevent unexpected tax liability. The last thing you ever want is a surprise federal estate tax bill, as the rate can be as high as 40 percent of your taxable estate. 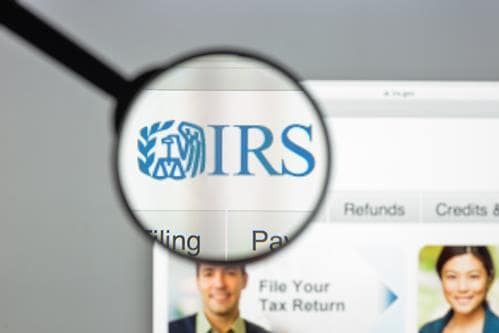 If you have a $20 million estate and neglect to correctly use the doubled exemption for married couples, your estate could face a tax of more than $3.4 million, which will go to the IRS instead of your beneficiaries. If estate taxes may be a concern, know that married couples can also double the annual gift exclusion of $15,000. This means if you have five children, you can each give $15,000 to each child tax-free, exempting $150,000 annually from your estate. You can also make these gifts to persons other than your children. Any gifts in excess of this exclusion will count against your overall estate tax exemption. For example, if you live in New York and have an estate worth $10.5 million, you would not have to worry about federal estate tax liability if you passed away in 2019. However, New York declined to follow the Tax Cuts and Jobs Act increase of the estate tax credit, and the state set its own exemption amount of $5,740,000 for 2019. This will not cover your $10.5 million estate, which will be subject to New York estate taxes. As you can see, even if the federal estate tax is not a concern, state taxes might be a very real concern. The good news is there are many steps you can take to plan in regard to estate taxes. If you have a high-worth estate, you should discuss your legal options with an experienced New York elder law lawyer about your detailed estate plan. The law office of Goldfarb Abrandt Salzman & Kutzin LLP helps clients with all types of estates of all different values. We know how to identify and address your many possible concerns, including estate tax planning. Contact us online or call (212) 387-8400 to schedule your consultation.